Cupcakes for breakfast? Laughing yoga at lunchtime? How did you celebrate International Happiness Day this year? This celebration of life and exuberance is dedicated to acknowledging the importance of happiness in the lives of people across the world. The theme for 2018 is ‘Share Happiness’ by focusing on the importance of relationships, kindness and helping each other. Communities thrive when everyone of all ages is happy, healthy, and active. How can we work towards making this a reality? Over 1 million kiwis are volunteering across Aotearoa and, through the gift of their time, they bring happiness to the lives of others every single day. What’s more, the selfless act of volunteering has been shown to improve mental health and quality of life. Research published by Harvard Health found that the more people volunteered, the happier they were. Compared with people who never volunteered, the chance of being “very happy” rose 7% among those who volunteer monthly and 12% for people who volunteer every two to four weeks. Among weekly volunteers, 16% felt very happy—a hike in happiness comparable to having an income of $75,000–$100,000 versus $20,000, the researchers explain. Volunteering New Zealand’s Chief Executive, Scott Miller agrees, stating that “there is no exercise better for the heart than reaching out and lifting people up”. 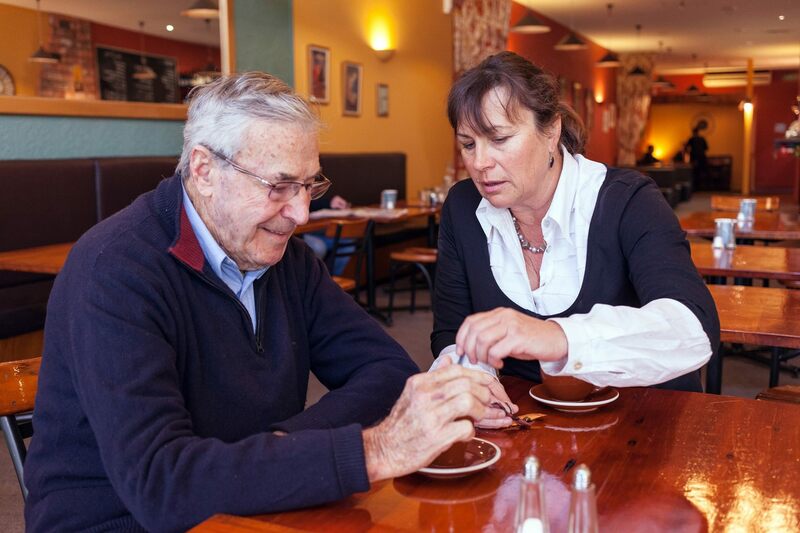 One such initiative for sharing happiness is run by Age Concern NZ, where volunteers visit older people weekly to have a cup of tea, a chat and be a friend. Louise Rees, their National Social Connection Advisor, explained that the majority of the older people visited are over 80 and are often prevented from socialising by barriers such as health and mobility issues, sensory losses, lack of transport, or grief following bereavement. Without intervention, this can spiral down into chronic loneliness which can lead to deteriorating health and lack of confidence to seek out new connections. An internal survey found that around 90% of clients felt happier and less lonely due to having a volunteer visitor and it made a positive difference in their lives. What’s more, the survey also revealed 100% of their volunteer visitors responded that their role with Age Concern NZ felt meaningful. Through volunteering, these visits are helping others be happy but are also creating happiness within themselves. The work that volunteers do in our communities is truly special and wholly necessary to move towards the best possible outcomes for all. Whether you volunteer at a local rest home, muck into beach clean-ups, or manage your own volunteer team, VNZ recognises all the happiness you bring to those around you. Kia kaha.